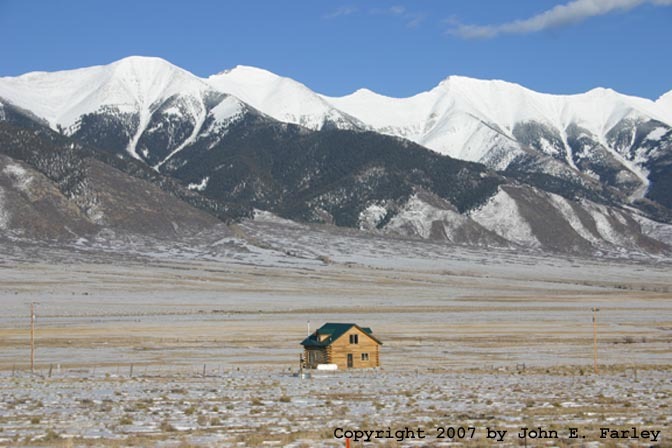 This gallery presents images of the Sangre de Cristo range and surrounding mountains in southern Colorado and northern New Mexico, from Salida, Colorado to Santa Fe, New Mexico. All photos were taken in late February, 2007. Click any thumbnail to see a larger image. 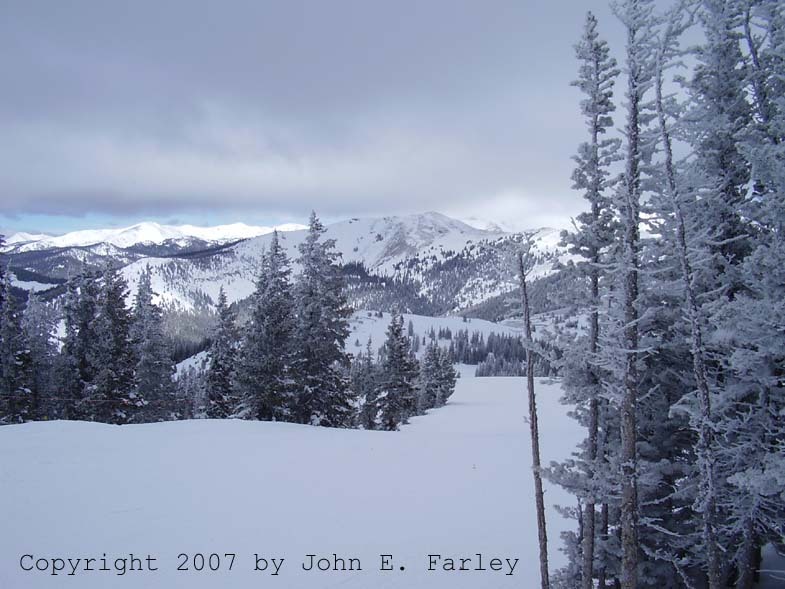 Continental Divide run at Monarch Ski Area in the Sawatch range, the next range northwest of the Sangre de Cristos. 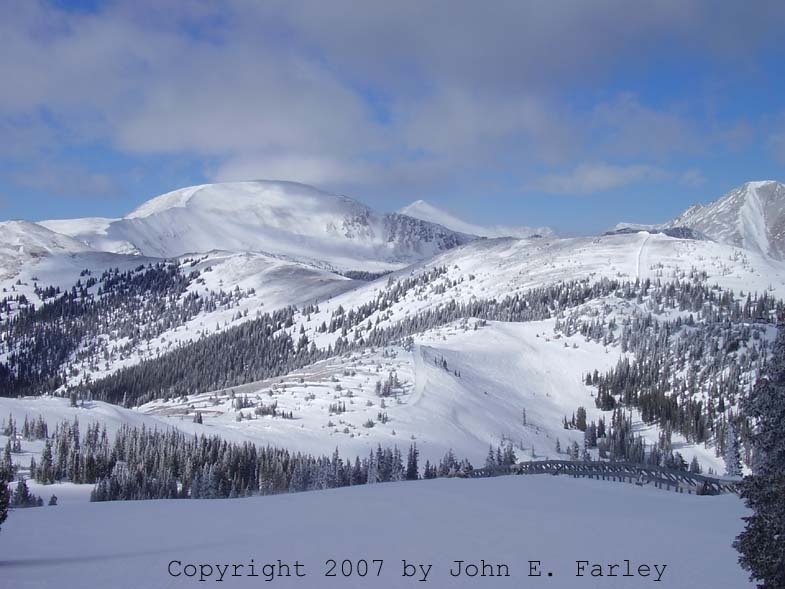 A wider view of the Continental Divide, with clearing skies. 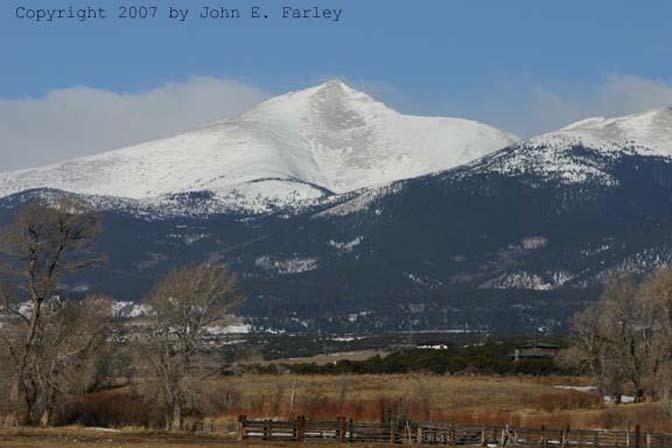 A view of the Sawatch range, from just northwest of Poncha Springs, CO. 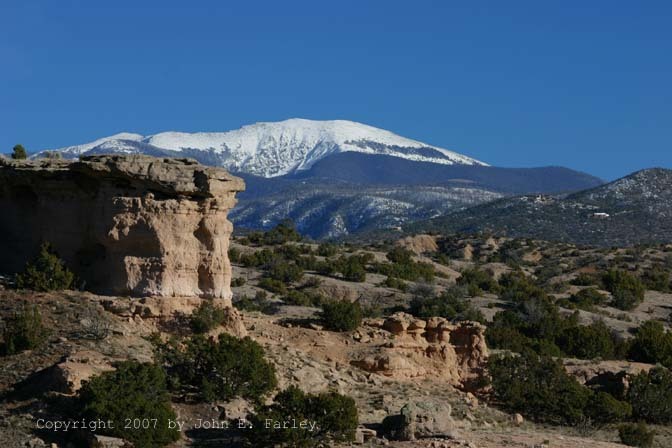 The northern end of the Sangre de Cristo range provides a great view from this log cabin south of Salida, CO. .
Near the southern end of the Sangres, these rock formations between Nambe and Chimayo, NM provide a striking foreground to the snow-covered mountains. 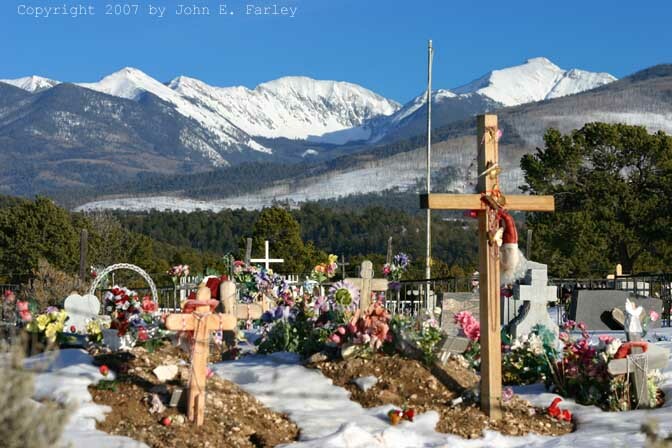 I photographed this cemetery near Truchas, NM. A better final resting place I cannot imagine. 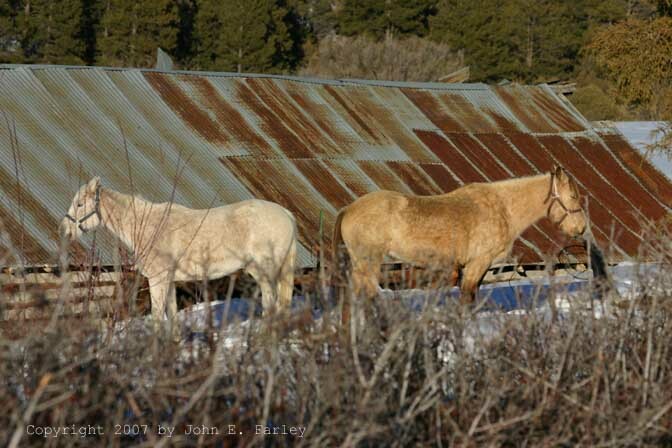 These horses near Truchas did not see eye-to-eye, I guess. 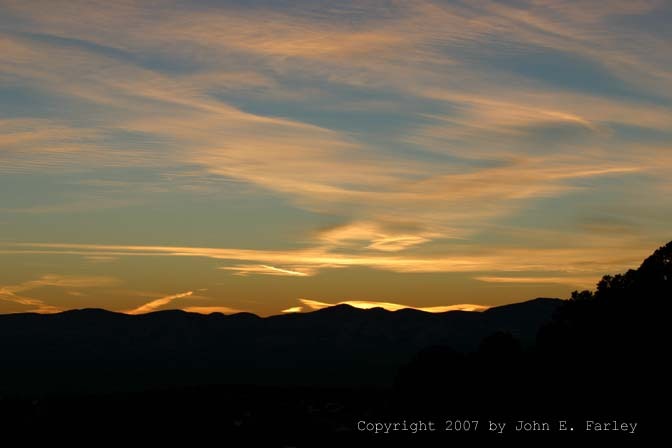 Looking west from Truchas, I photographed these clouds illuminated by the setting sun over the Jemez Mountains. To order any photo, please email John Farley. In addition to the above formats, some photos are available in larger formats, such as 16x20. To inquire about availability, please follow the above email link.